A glass-plate photograph made through the collodion process shows George W.M. 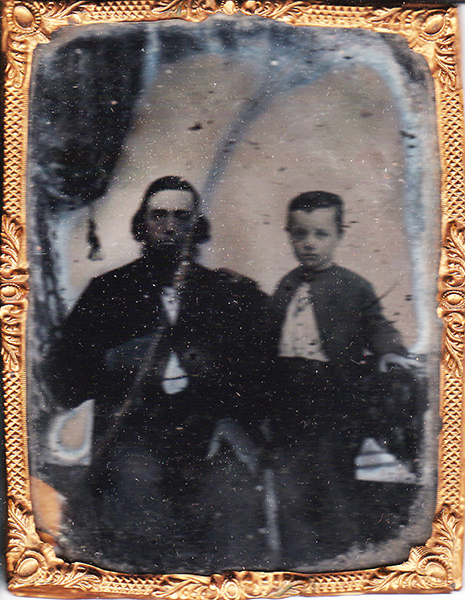 Reed Sr. with eldest son, John Alois Reed, about 1868. The elder Reed was a merchant and served as city councilman, postmaster and circuit clerk. The younger Reed followed his father into the mercantile business before later becoming a traveling salesman.